With exciting nightlife and a festival almost every month of the year, Barbados is your ticket to fun: it’s an eye-popping playground for scuba divers and snorkelers, kite surfing, golf, sailing, fishing, and zip lines. For a more laid-back holiday, you can’t beat the island's unspoiled, white-sand beaches on the western shore, fine restaurants, beautiful botanical gardens, and world-class shopping that keeps visitors coming back year-after-year. Come nightfall, it’s a party in the St. Lawrence Gap: visitors and locals alike love spots like the Sugar Ultra Lounge, Reggae Lounge, and Lipgloss. Every night there’s heart-pumping live music. Outside, food vendors line the street -- a great place to sample local cuisine and refuel for more dancing. Barbados' villa accommodations range from beach-front castles and resort-style condos to cute seaside cottages. 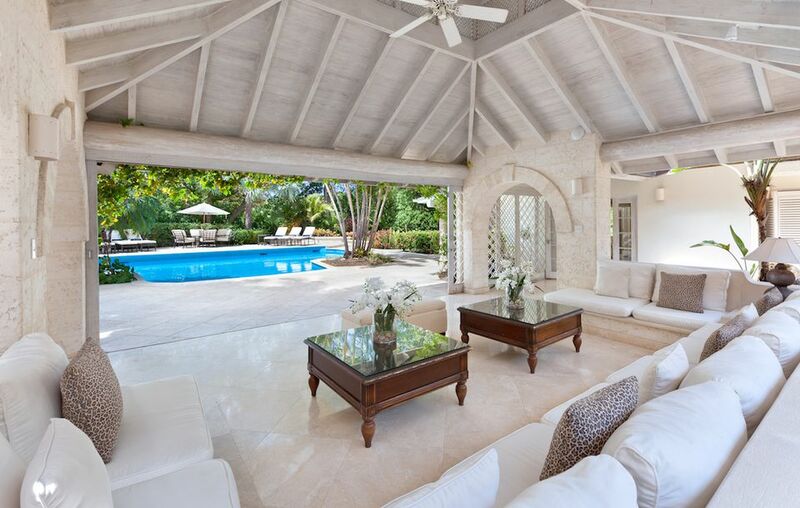 With the help of WhereToStay.com’s villa experts, we’ve compiled a list of the very best villas on Barbados in each price range – modest, moderate and exclusive. The recently refurbished Bluff Cottage is the best kept secret in Barbados accommodations. You’ll find clean, crisp, comfortable furnishings and a helpful staff. Perched high on a bluff makes for spectacular views and unmatched privacy.The villa is just a few steps from Sandy Lane Beach -- the best beach on island. Steps from the ocean, this cozy beach cottage sits on lush tropical gardens, giving guests added privacy from surrounding villas. High, vaulted ceilings, a modern kitchen, and a small pool are added comforts. There’s also an upstairs sundeck -- our favorite spot for morning coffee and cocktails at dusk. This small property isn’t very busy, making it the perfect spot for a quiet getaway. Flamboyant 201 is located inside an oceanfront villa complex. There’s a large communal pool and easy access to Schooner Bay beach. Inside the villa, you’ll find a modern, fully-equipped kitchen and private covered patio with amazing sunset views. The villa is just a short walk down the beach to Speightstown, and is within walking distance of the Cobblers Cove Hotel, where guests can dine at the restaurant, relax at the bar, or rent equipment for water sports. Grendon House is very reasonably priced villa that’s perfect for a large group. With the beach only steps away, a huge pool, gym equipment, a game room on-site, plus golf, shopping and great restaurants nearby, there's something for everyone. This villa gets 'snaps' for great design, wonderful staff, and superb location. We love to take in the ocean air here, and not just lounging by the swimming pool. There’s a wall of doors in the living room that can be swung open, a large patio for al fresco dining, and even an outdoor bathtub, which is prefect for cooling sun-kissed skin. To be fair, the only downside is there aren’t fantastic views. But you’ll hardly notice with an infinity-edge pool, fountain, and beautifully landscaped tropical gardens. Alila Villa also has its own private cabana on Sandy Lane Beach. Grab some friends and book the best villa deal in Barbados. Ocean Mist Villa’s grand living room, with floor-to-ceiling windows, overlooks the massive pool and ocean beyond. It is conveniently located just 15 minutes from the airport. It is also only a few minutes from the famous Crane Beach (named "one of the Ten Best Beaches in the World" by Lifestyles of the Rich and Famous) and the Crane Hotel, which has wonderful shops, a spa, restaurants, and Bar 1887, which features live music every evening. The villa comes with daily maid service; and for those who want to try the local Bajan cuisine, a cook can be arranged. Resort meets private home at Lelant Villa. This updated, contemporary villa has five lavish bedrooms, a large covered patio, an infinity-edge pool, and a gourmet kitchen. Guests benefit from direct access to the Royal Westmorland Golf Resort and Royal Westmoreland Beach Club. There you’ll find the golf course, tennis courts, a fitness center, and a clubhouse with a resort pool, varied dining options, and the beach facility. The villa is also just a five-minute drive to Mullins Beach, one of our very favorite beaches in the Caribbean. With a staff of 12 there’s no lifting a finger, just pure relaxation. Cove Spring is an expansive 10-bedroom villa has incredible views, beach access, an on-site gym and a home theater. Imagine you and 19 of your closest friends enjoying the resort-style pool, Jacuzzi and spacious patio. For those wanting to get out and explore, Cove Spring is conveniently located just minutes from restaurants, shopping and nightlife. Bonus: there’s a private cove on the back lawn -- the ideal spot for a romantic beach picnic or cocktail at sunset. Aside from the comfortable, contemporary furnishings, The Dream Villa is tops in our book because the staff is trained to the highest standards. Located right on the beach, this exceptional villa includes a butler, laundress, housekeeper, and cook. It is ideal for those desiring privacy, but still close to the island’s best attractions like the world-famousCliff restaurant, chic boutiques, trendy night spots and a selection of competition golf courses. The infinity pool, comfortable sun loungers, generous patio, and direct access to the beach are just a few more reasons we love this villa. Moon Reach exudes luxury. This slice of paradise has five suites, each with a large private balcony overlooking the Caribbean Sea. You can also catch amazing ocean views from the pool, bar, gazebo, and dining room. The immaculate tropical grounds lead right to the beach. Full staff ensures that comfort and privacy are readily available to every guest. Toss in the best chef on the island and it’s no wonder this villa ranks among the best.